Check out our exclusive interview with Fox News’s legal analyst Gregg Jarrett, author of the No. 1 bestselling nonfiction book in America, titled: The Russia Hoax: The Illicit Scheme to Clear Hillary Clinton and Frame Donald Trump. Jarrett is the first to comprehensively chronicle in great detail the whole Russia collusion saga, the political motivations of the Mueller investigation, and whether or not Trump should actually fire Mueller or not – you’ll be surprised by his response! 4:36 Hear Jarrett explain how Hillary Clinton violated the Espionage Act, and how James Comey twisted the facts to clear her of her criminal deeds! 6:16 How could the FBI, the foremost intelligence organization in the world, possibly have taken the politically-motivated, anti-Trump “dossier” seriously? Jarrett explains why this dossier is, in fact, impossible to verify. 9:24 Why can’t the president himself bring charges against Comey or Stzrok? Jarrett outlines the legal and political aspects of the situation. 14:12 Was the infamous Trump Tower meeting between Donald Trump, Jr., and a Russian liaison illegal? You’ll never guess the answer. 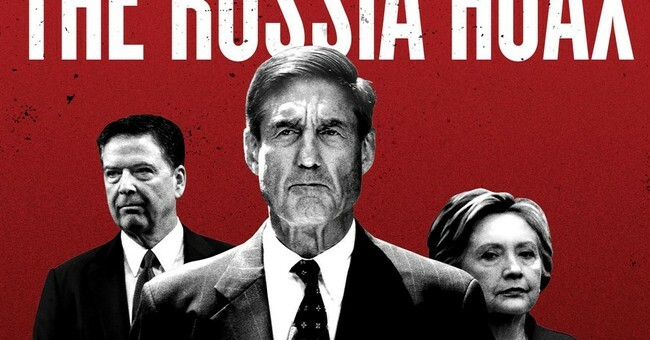 19:50 It’s easy to get caught up in the day-to-day drama of the Mueller investigation. Bu what is really at stake here, for all of America? During his tenure, Jarrett has provided coverage on top new stories including the 2013 murder trial of George Zimmerman and the crash of Asiana Flight 214 at the San Francisco Airport (SFO). Additionally, Jarrett contributed to the network’s coverage of the 2004, 2008 and 2012 presidential elections. Prior to joining FNC, Jarrett served as an anchor and correspondent for MSNBC, where he covered the Israeli/Palestinian conflict, the terrorist attacks on 9/11 and the 2000 presidential election from Tallahassee, FL. Discover the Russia hoax for yourself – grab your copy HERE! Read more about Greg Jarrett!